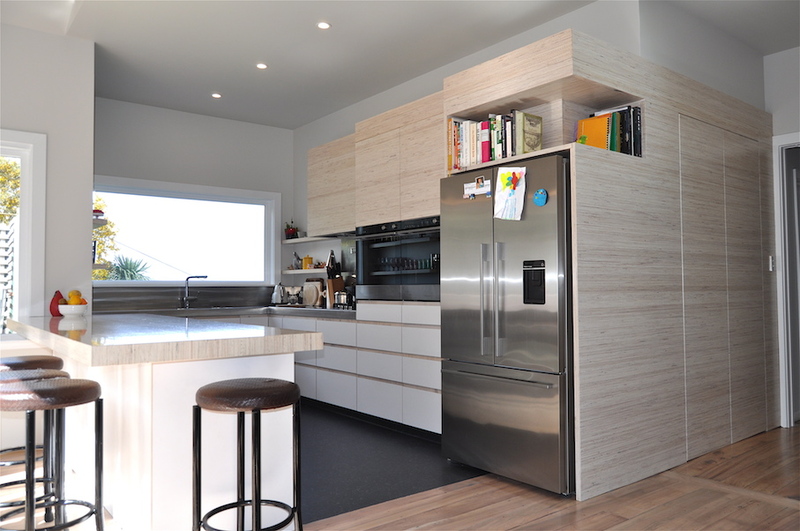 After being approached by the client to design and build a modern kitchen as part of a greater renovation project, the Mano team took to the task with aplomb. 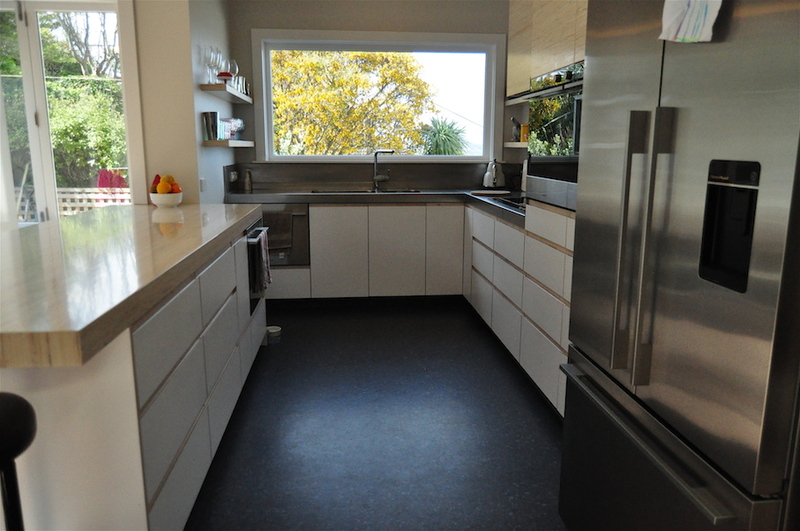 The central island bench top is from whitewashed laminated plywood, with under-counter drawers featuring recessed pull handles and self-soft closing runners. 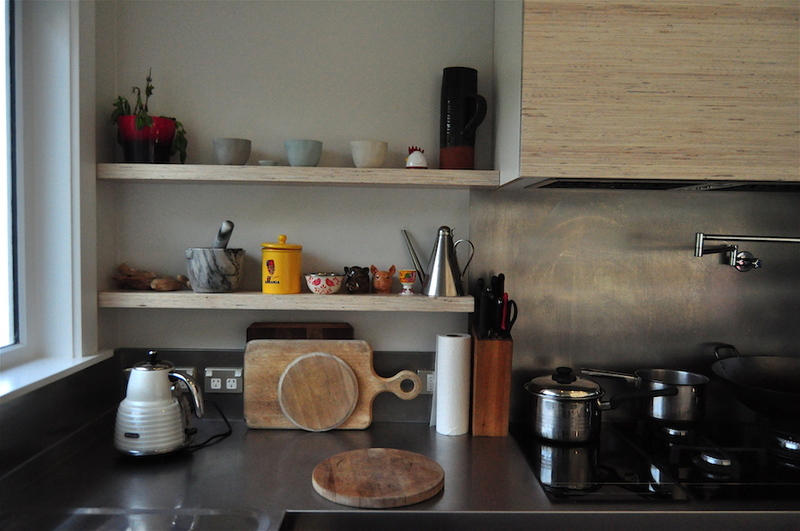 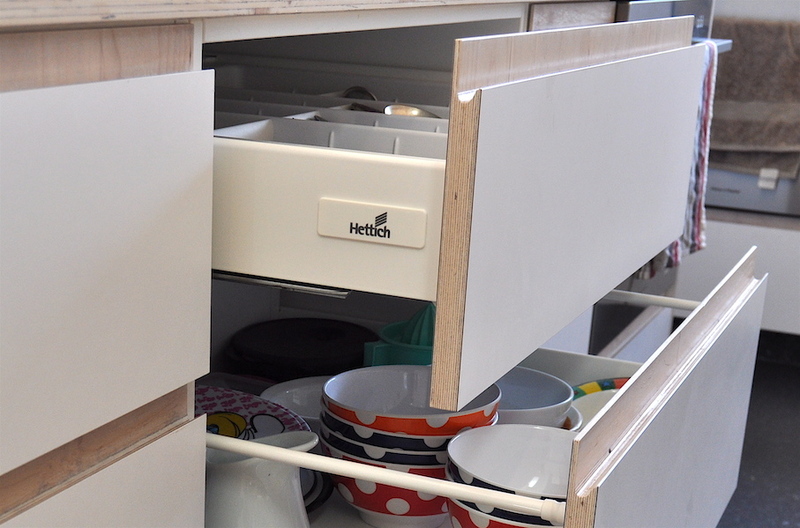 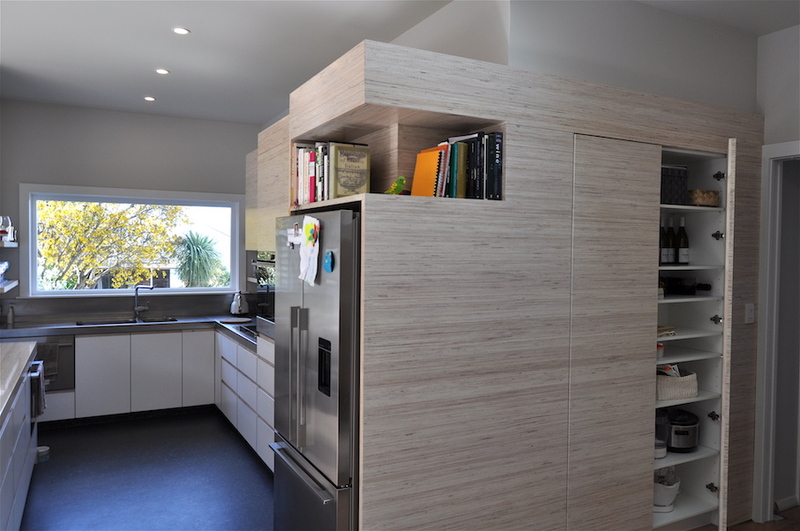 The horizontally laminated cabinet fronts appear to wrap seamlessly around the walls. 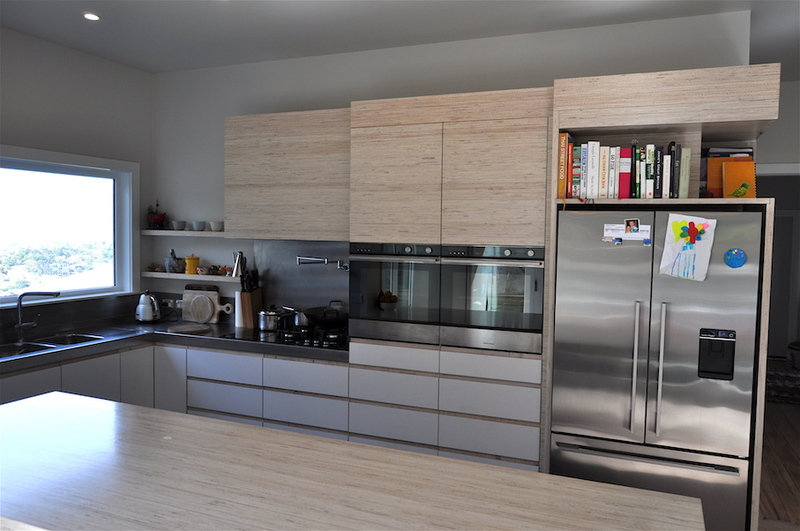 Additional features such as the practical and sleek stainless steel bench top with upstands and the recessed cook book shelving really make this a stand out kitchen that the clients are truly delighted with.